Choosing a bit for your horse can be an absolute minefield! This is a very basic introduction that covers some of the most common types of bit you might run into and how they work. 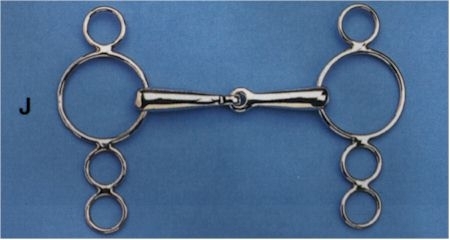 Though the term ‘snaffle bit’ is used in different ways by different people, in the strictest sense a snaffle bit is any bit with no shanks to use as levers. Shanks act as ‘levers’. In other words, they amplify the force the rider is able to exert on the horse’s mouth and poll via the bit. So bits without shanks will apply the same amount of force on the horse as the rider is applying on the reins. In reality this is not as clear-cut as it might sound however. Some bit rings provide a small amount of leverage compared to others. For instance a D-ring will provide more leverage than an O-ring. And a larger D-ring will provide more leverage than a smaller D-ring. 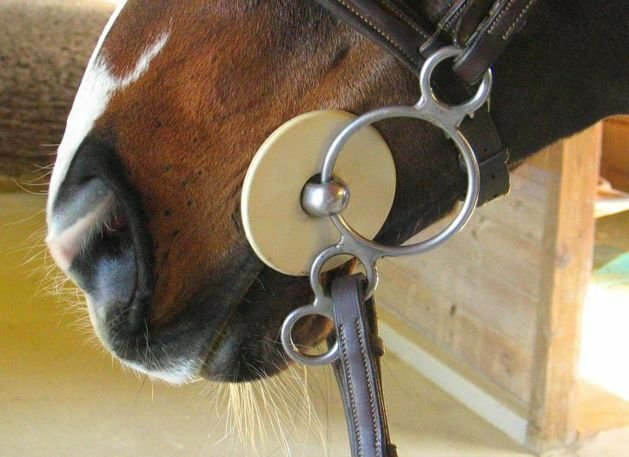 Still other designs such as the hanging cheek (or “Baucher”) will actually reduce poll pressure by allowing the cheekpieces of the bridle to bag when the reins are engaged. 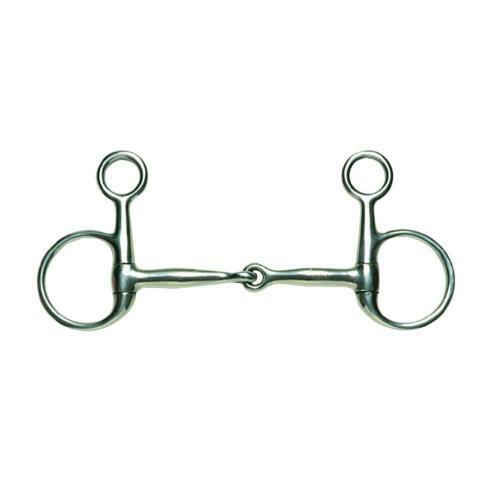 The most basic type of snaffle bit is a loose ring snaffle. Because the rings on a bit like this are not fixed they cannot act as effective levers. Bits with shanks amplify the force exerted by the rider. Shanked bits are usually used with a curb strap which applies pressure against the underside of the horse’s jaw when the reins are engaged. The fit of the curb strap alters the effect of the bit and how far the bit is able to rotate in the horse’s mouth. The use of curb straps or chains is what gives this type of bit the alternative name of ‘curb bit’. Bits like this are very common in Western riding to compensate for having a slack rein. By having the reins attached to a very long lever, a Western rider can very quickly exert a large force without engaging the reins as much as would be necessary in a snaffle. In English riding shanked bits are generally used when a horse is perceived to be ‘strong’. 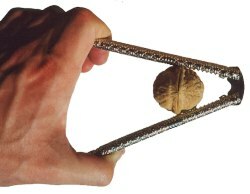 A common example is the Dutch gag. Bits like this sometimes have more than one ‘setting’ so you can increase the length of your shank and thus the leverage. The further from the bit you attach the reins, the greater the leverage. It’s not always so straight-forward though! Bits such as the Kimblewick lie somewhere in between. By positioning the bit higher up the D-ring, the reins end up sitting further away. This effectively creates a short shank and mild leverage effect. However the hanging cheek design reduces the poll pressure exerted. Variations of the Kimblewick such as this slotted ‘Uxeter’ design fix the rein position and increase the lever effect. 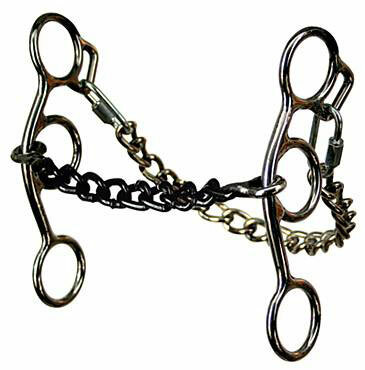 Others such as the Pelham are designed to be used with two reins, giving the rider the option between snaffle force and leveraged force. So the overall effect of a bit is not always clear-cut! It’s important to look at each part of a bit carefully and how they work together to figure out the overall effect it will have on your horse. The most common is probably a single-jointed mouthpiece. A single-jointed mouthpiece will fold when the reins are engaged. This causes the joint to be raised off the tongue and the pieces either side of it to move inwards. It is this inwards movement that is sometimes referred to as ‘the nutcracker effect’ and applies pressure to the bars of the mouth. Another thing to consider is that the raised joint can make contact with the palate when the reins are engaged. This is quite common and can cause serious discomfort and evasion. Horses that shake or raise their heads in a bit like this might be reacting to this effect. A double-jointed bit such as a French link or lozenge bit overcomes this problem by moulding to the shape of the mouth and ‘collapsing’ in the centre when the reins are engaged. These bits spread the pressure being applied over the entire tongue and bars. More numerous joints are less common and generally considered harsher due to the tightening effect they have on the tongue and mouth. For instance a variety of chain link bits exist. The shape of every link also plays a role in how the bit works. A big, smooth lozenge provides a larger surface area than a smaller one. While a large flat French link might spread out the pressure even more effectively as long as it remains flat against the tongue. If it is angled, it suddenly has a much smaller surface area! A common issue with jointed bits is pinching between the links. To test whether your horse’s bit pinches, as well as feel how it exerts pressure, place the bit in the crook of your elbow. Make sure the bit is against bare skin and then pull back on the bit as if the reins are being engaged. Repeat a few times to check whether the bit is pinching as it moves around. It is usually very easy to feel the difference between bits and whether they pinch! Straight-bar bits and variations thereof are commonplace. A straight bit will apply pressure on the tongue, bars and lips when the horse’s head is on the vertical. Bits with bobbles such as this reduce the surface area making contact with the mouth compared to a bit like this which is smooth all the way along and gently moulded to the shape of the tongue. Bits that have some curvature in the design to allow the bit to be moulded to the shape of the mouth and exert more even pressure are called mullen mouthpieces. Jointed mouthpieces can also have a mullen mouth or ‘contour’ design. A more extreme example of shaping to provide tongue relief are ported mouthpieces which correspondingly apply more pressure to the bars of the mouth and can also contact the palate if high enough. Ported mouthpieces are in this respect an alternative to the single-jointed snaffle. The thicker the bit, the more surface area it has. This means that any pressure applied is spread out over a larger area, making it milder. For example this bit would apply less force per cm2 than this one. This is the same effect that is responsible for making this possible. 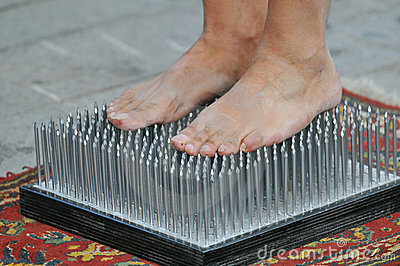 With hundreds of nails, their points add up to a much larger surface area and so the force exerted on the bottom of your feet is much more spread out than if you were to stand on just one (ouch!). Similarly it’s why thin straps on a shoulder bag cause more discomfort than thick ones. However it’s also important to consider the size of your horse’s mouth when deciding on bit thickness. Some horses have smaller mouths with low palates and the bit needs to allow enough room for the tongue to rest comfortably! The above is only an introduction and barely scratches the surface of this topic! There are many other variations on these broad categories such as differences in material and flexibility, whether you need bit guards or a chin strap (not to be confused with a curb strap! ), weight, twist, and the presence of additional components such as cherry rollers. These days you can even get flavoured bits! 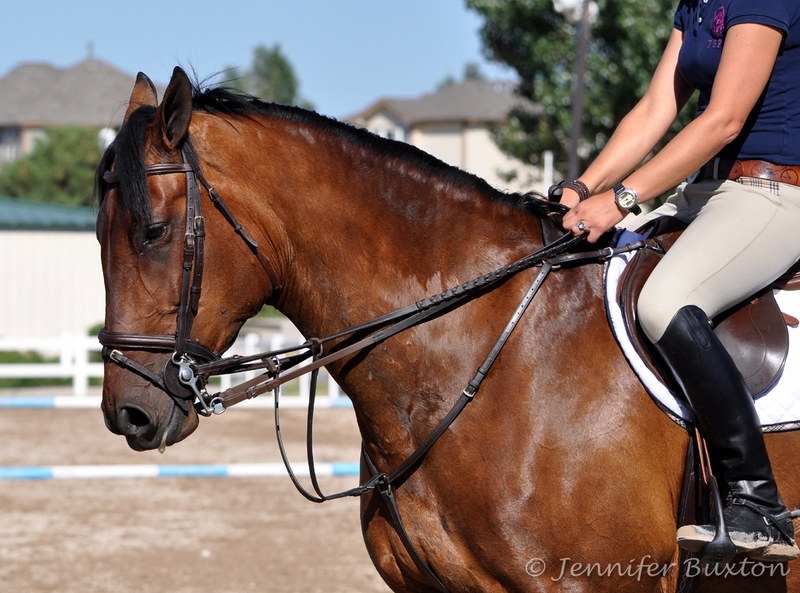 Your horse’s level of training – and your own! – will also determine what bit or combination you should use. In addition individual horses will have personal preferences or differences in health or conformation that make some bits more suitable than others. There are also specific bit requirements if you plan to compete with your horse. And of course you could decide to abandon bits altogether and go bitless – but that’s a topic for another day! But no matter what bit you choose, it is important that it is not used as a shortcut in the absence of correct schooling. Unwanted behaviours can and should be resolved through appropriate training, not bit escalation. We should always choose our equipment with the horse’s welfare in mind, and also make sure that it is safe and appropriate for the activities we want to take part in. We should never find ourselves choosing equipment based on how well it will mask problems. Besides rarely being effective in the long-run, this is a poor reflection of what most of us want out of our relationship with our horses, which is a willing, two-way partnership between horse and human.